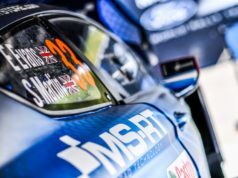 Hyundai Motorsport returns to tarmac for the fourth round of the 2019 FIA World Rally Championship (WRC), taking place on the tight and twisty roads of Tour de Corse. 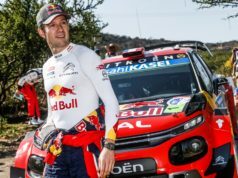 The iconic rally on the picturesque island of Corsica sees WRC crews tackle some of the most technically demanding, narrow and winding stages of the season, underscoring the event’s status the so-called “Rally of 10,000 Corners”. Hyundai Motorsport will field a trio of tarmac specialists for Tour de Corse, in a bid to regain ground in its manufacturers’ championship campaign after a lacklustre result in Mexico. All three crews have previously taken victories on Corsica with seven wins between them. Belgians Thierry Neuville and Nicolas Gilsoul took the honours for Hyundai Motorsport in 2017, in addition to an Intercontinental Rally Challenge (IRC) win in 2011. Joining them as part of the Hyundai Shell Mobis World Rally Team line-up in the 2019 edition will be Dani Sordo/Carlos del Barrio and Sébastien Loeb/Daniel Elena. The Spanish crew took an IRC triumph in 2012 while Loeb scored four consecutive wins from 2005 to 2008. Following a difficult Rally México, Hyundai Motorsport will be looking to bounce back quickly at Tour de Corse. A heavily revised route has resulted in 80% of the routes being new for this year: the rally tours from Porto-Vecchio in the southeast of the island on an anti-clockwise trajectory through Bastia, where the Service Park is located, to culminate at Calvi in the northeast. They are well aware that the high level of competition between manufacturers will create an intense battle for the front-running positions. The crew was twice victorious in Corsica, including Hyundai Motorsport’s win in 2017.